Molly Hughes is a 21-month-old sweetheart from Kentucky who has a big reason to celebrate! Her family just found out that her stage 4 cancer is finally in remission. Her family has been through a long, arduous journey worrying about their precious baby girl after she was unexpectedly diagnosed with cancer at such an incredibly young and tender age. Molly Hughes was officially diagnosed with neuroblastoma when she was just a small baby. Her family could hardly believe the news. They never thought that their tiny baby could be diagnosed with such an awful condition at such a very young age. 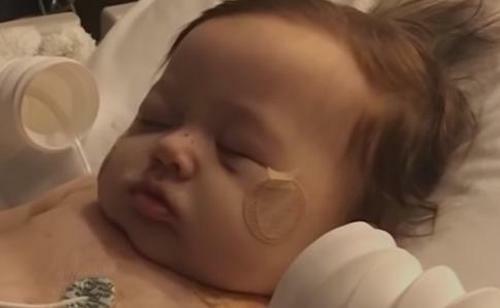 After being diagnosed, little Molly had to spend 130 nights at the hospital. This was an awful thing to watch for her parents, as she was their precious baby girl. As little Molly stayed in the hospital, her parents watched as she had to undergo multiple grueling cancer treatments during her course of treatment. However, Molly’s parents saw from the beginning that their baby girl was a fighter. Her mother, Chelsea, noted that Molly would bounce back strongly after every single treatment. She saw that little Molly would be down and out for a few days after she underwent and then she would be smiling and happy again. Her family and their friends came up with the #MollyStrong campaign to share news of her progress and her treatments. Her prognosis wasn’t great, but she had an incredible support system that rallied around her. Her family worried about what would happen constantly, but Molly’s strong demeanor gave them hope. They waited patiently for months to hear any news. One day the phone ring and the voice at the other end of the line gave Molly’s mother some news that made her literally fall to the floor. Chelsea said she immediately ran to Molly to give her the biggest hug she possibly could. 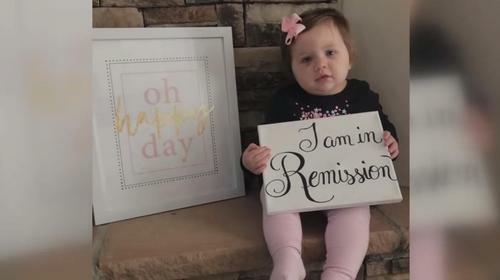 She couldn’t believe her little girl was in remission! Chelsea says that the prayers of everyone who followed Molly’s treatment and progress are to thank for her being able to finally recover. She says that the prayers played an enormous role in Molly being able to be strong through the whole process. However, she also keeps the millions of children who are still suffering in her own prayers. How great is it that little Molly is in remission? 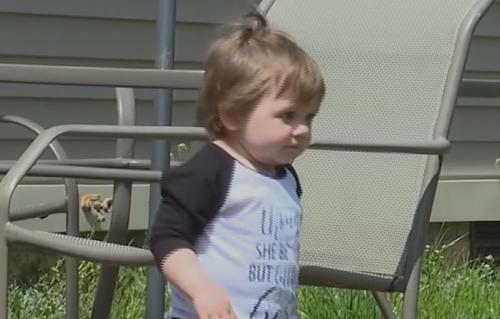 What do you think about this toddler’s incredible journey? Let us know your thoughts in the comments!